This is the project that started it all. I had made a catalogue of earthquake rubble for my final BFA project which was met with great success (the TOP mark, A+ yessss!) Yet it proved to be a wholly unsustainable project. Lugging around and storing in excess of 500 kg of metal, concrete, rock and other detritus was not good. Petrol, pissed of flatmates, inumerable messes to tidy equals not good. 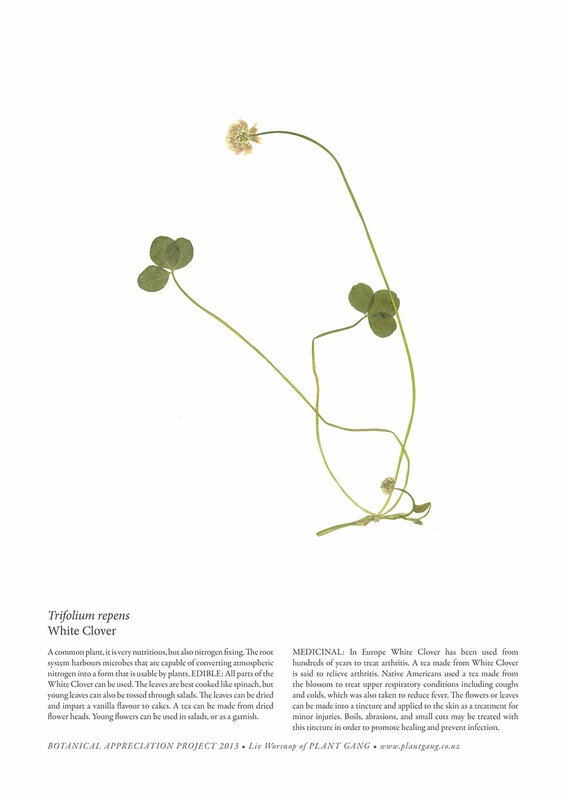 Enter a catalogue of plants. Not only did they weight way less, they also offered countless benefits. I forages the plants for the Botanical Appreciation Project then researched their many medicinal, traditional, edible, material and spiritual uses. This information was recorded on posters alongside a scan of each plant then the poster was installed onsite. I made postcards also that were handed out at various cafes and info spots around the city to extend the messages and magic of each of these wild plants. This project activated within me a deeper love of what nature had to offer. 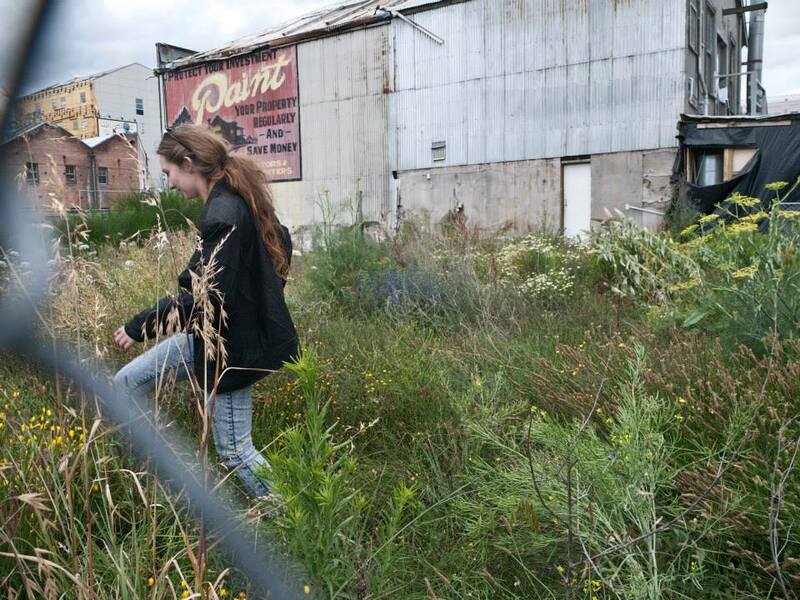 I began looking at these empty lots as places that were actually incredibly full. They were full of small ecosystems, shared by bugs, birds and other critters. They were full of amazing potential filled plants that held great healing powers for the people of Christchurch whilst also linking us to ancestral care, cultivation and use of the natural world. 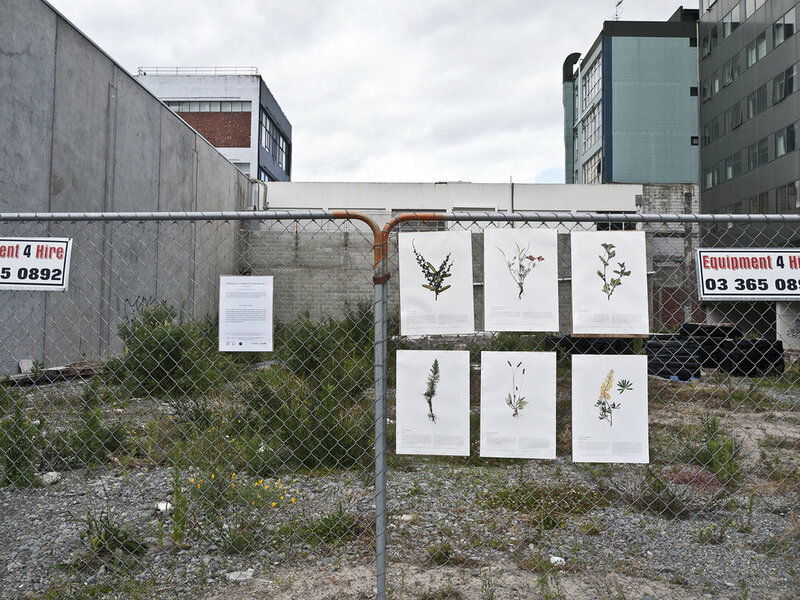 For the public, the Botanical Appreciation Project sparked a different way of looking at these freshly exposed sites. 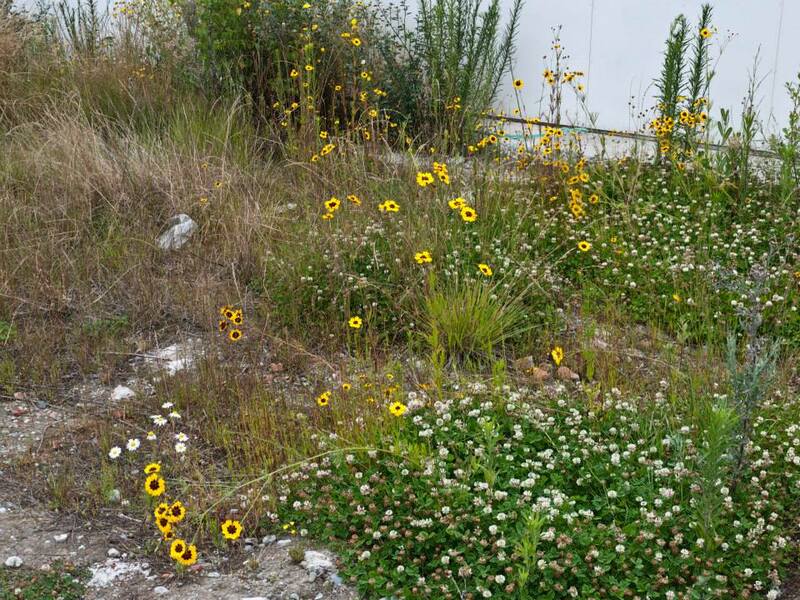 Whilst these sites were places of loss, the plants reclamation of these spaces offered an exemplar of resilience. Of overcoming adversity and getting on with growing. The plants, whom I so lovingly call wilds and not weeds, showed that this temporary space can be one of beauty and wonder.